From Disneynature, the studio that brought you Earth, Oceans, and African Cats, comes Chimpanzee – a remarkable story of individual triumph and family bonds. 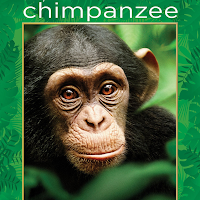 Journey deep into the African forest and meet Oscar, an adorable young chimp with an entertaining approach to life. The world is a playground for little Oscar and his fellow young chimps who love creating mayhem. His playful curiosity and zest for discovery showcase the intelligence and ingenuity of some of the most extraordinary personalities in the animal kingdom. Stunning hi-definition images bring you up close and personal as Oscar and his family navigate the complex territory of the forest. It’s an inspiring and life-changing adventure that overflows with courage and charm. And it will capture your heart. In addition to the remarkable story filmed in the depths of the African forest, the Chimpanzee Blu-ray Combo Pack is filled with spectacular bonus features, including in-depth behind-the-scenes footage showcasing the filmmakers’ amazing efforts to document the making of the film; a music video for the song “Rise,” written and performed by McClain Sisters; a feature on Disney’s conservation legacy; and much more. Disney has long been interested in nature and the animal living in it and if you’re old enough you might remember their True-Life Adventure shows where they would introduce various animals to viewers and expand their knowledge and understanding. I was happy to see Disney continue that heritage when they started releasing their new DisneyNature films. All of them are beautifully filmed and always have a good story to tell. Even the old Disney nature films in the past were all interesting and groundbreaking at the time and these new ones are no different. The footage that they managed to capture is amazing and we see just how similar these animals are to humans in their interactions. Their love for their children, the playfulness of the young, and the sense of community are very human-like as is the concepts of love, greed, fear, and sacrifice that we also see. This being Disney, the filmmakers don’t dwell on the kills that occur but don’t whitewash it either. 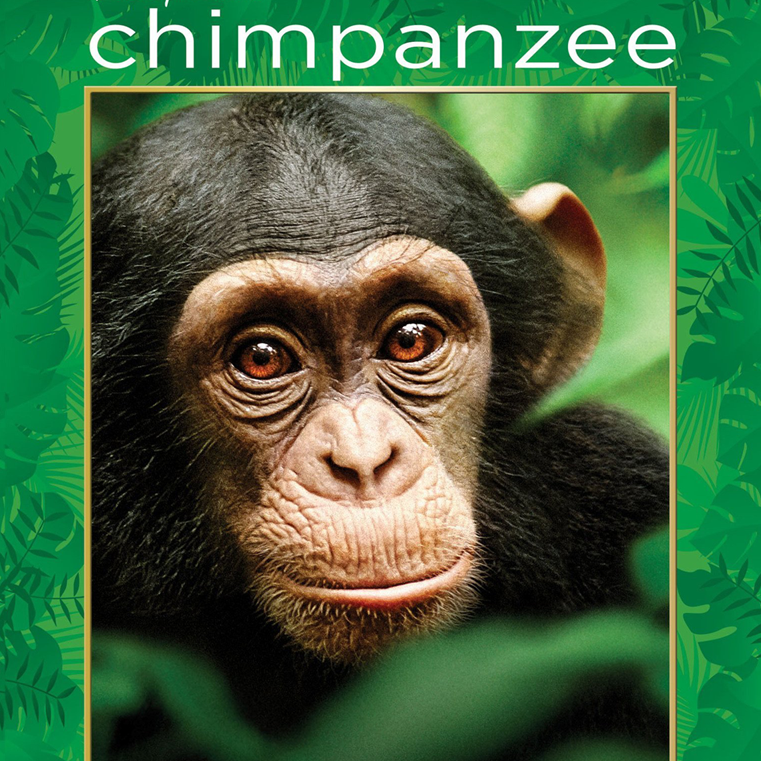 Chimpanzee follows a family of chimpanzees and their trials in the Taï National Park and focuses on the youngest chimp named Oscar. Oscar likes to play and cause mischief like most young children and we witness the family interaction between them all. The film takes the time to allow the viewers to understand the family dynamics and personalities involved, which engenders more empathy when things take a turn for the worse later in the film. Oscar’s family has their own territory that contains fruits, nuts, figs, and other food sources which are even more surprising – small tree monkeys. That’s right, the chimps eat other monkeys! We even witness them set up an ambush for the tree monkeys where they had two monkeys flank them while two others stand out the open to make them run a different way, as the leader of the chimps known as Freddy, waits for the monkeys to be funneled to him where he will spring his attack. The chimps’ territory and all of its tasty treats hasn’t gone unnoticed by a rival group of chimps led by “Scar” who covets the area for himself and his gang. Scar and his team regularly do raids against Freddy’s territory but have always been forced back to their own area. In between these raids, Oscar is taught how to survive by his mother Isha, such as how to break open nuts with a rock. When Scar and his gang return again, they catch Freddy and the others by surprise and Isha is injured and the family is separated. Oscar finds himself alone for the first time in his life and as the days go by he’s unaware that his mother was most likely the victim of a leopard. So Oscar spends his time looking for his mother to no avail as he gets thinner and thinner since he doesn’t know how to fend for himself yet. When Oscar tries to ingratiate himself with other female chimps hoping to be adopted, he is rebuffed and forced to move on. None of the other chimps want anything to do with him and Oscar grows so desperate that he approaches the leader of the chimps, Freddy who seems to tolerate the young chimps presence. As time goes on, Freddy takes a more paternal approach to Oscar and even lets him ride on his back, which we are told is unheard of as only mother chimps were known to do that. The most unlikely chimp to adopt Oscar actually does and Freddy starts Oscar’s survival training again and shows him what to do. While all of the time Freddy spends with Oscar benefits the young chimp’s education, it also takes away from Freddy’s usual guard duty against Scar and his fellow chimps. That fact hasn’t gone unnoticed by Scar who along with his gang are planning to make their final move against Freddy’s territory to take it for themselves once and for all. Chimpanzee is a great documentary and my son and I enjoyed watching it. My wife didn’t want to see it because based on the trailer she thought it was going to be too sad, and in some ways it is sad. When you see how much Isha loved Oscar and then to see how much he misses her once she’s gone, it is really sad to see the little guy waste away. But, that’s not the whole story as even though what happens is sad, the ending is a pretty happy one when Freddy (the most unlikely one in the tribe) adopts Oscar as one of his own. In most of these documentaries, it’s always the female that does the noble thing so it’s nice to see a male step up and do the right thing. Fathers (adoptive and otherwise) don’t get much praise for what they contribute, so this was a refreshing change of pace. This movie is beautifully shot and it took over four years to film it because of the difficulty of capturing the chimps in their natural environment and also because of the temperamental weather there. Tim Allen provides the humorous narration for the film which makes it a little warmer than the usual dry narration you usually get on these kind of films’ If you are a fan of animal documentaries then you will enjoy seeing how similar and human-like these chimpanzees are with one exception…they eat tree monkeys! This 1080p (1.78:1) transfer is gorgeous to look at in high definition! The lush green jungle looks incredibly life like and I kept wishing that this had been a 3D release because it would’ve looked amazing. All of the multi-hued colors in this film look fantastic and the black levels are pitch black. The detail in this transfer is astounding as you can see every hair on Oscar’s body and every little insect to be found in all of their creepy detail. My wife is lucky she didn’t review this because the sight of thousands of army ants in close up would have sent her running from the room. This transfer from Disney is exceptional and enough of a reason to buy this Blu-ray alone. Chimpanzee’s DTS-HD Master Audio 5.1 mix brings the jungle to life as you are surrounded by the sounds of nature all around you. The rear channels deliver an immersive mix that includes the chimps chittering talk, to the creaking branches, the thunderstorm which sounds incredible, and it’s especially noticeable when the sounds of angry chimps and their hooting and screaming accompany their attack. The LFE channel is very present and just wait until you hear Scar and his boys start thumping on trees which will shake your room. The dialogue as it were is very clear and you won’t won’t miss a sound with this mix. This mix’s directionality is excellent and you will easily follow the action across the room as the chimps go from limb to limb. This is an outstanding mix and another fine effort from Disney. Like African Cats, there really isn’t a lot of extras on here but at least this one has a very good behind the scenes documentary to go with it and all of them are in high definition. See Chimpanzee, Save Chimpanzee – A very brief look at how it all almost fell apart and how DisneyNature and the Jane Goodall Institute work together. Music Video - A music video by the McClain Sisters titled “Rise”. Behind the Scenes of “Rise” – A pointless look at the behind the scenes of the making of the video. Disney’s Friends for Change - The McClain Sisters offer their two cents about protecting wildlife habitats. Disney’s Conservation Legacy – A two minute PSA for Disney Worldwide Conservation. Chimpanzee feels more scripted than earlier DisneyNature efforts like African Cats, but it allows younger viewers an easier way to understand what is going on. The documentary offers some amazing footage of chimps and their habitat and this Blu-ray brings it all to life vividly with its excellent visual and audio quality. The extras are decent as well which also helps, but I wish there was more educational extras about chimps and the attempts at preservation on here. All in all, this is another wonderful nature documentary from DisneyNature and it’s one I highly recommend!